The All American Music Festival - Orlando is held each weekend mid-March through mid-June. Open to all types of bands, choirs & orchestras, the Festival also includes the All American Solo Competition presented by United Music Instruments. Student soloists can win instruments by videotaped entry in brass, woodwind, string or percussion categories. Music students can win cash scholarships through the Irene T. King Music Scholarship Program. The All American Music Festival is held each weekend between March & mid-June in Orlando, Florida. You may choose to compete in Concert Band, Orchestra, Jazz Ensemble, Parade, Field Show, Auxiliary, Concert Choir, Women's Choir, Men's Choir, Chamber Choir, Swing/Jazz Choir or Show Choir. The Awards Ceremony is held at Universal Orlando every Saturday night. Running for 15 weeks every Friday and/or Saturday from March through mid-June in Orlando, Florida, the All Star Music Festival gives your Junior High/Middle School or High School performing group a chance to showcase their talents before a distinguished panel of adjudicators. It also provides your group an opportunity to receive a spoken critique from one of the adjudicators immediately following each concert performance. You may choose to compete in Concert Band, Orchestra, Jazz Ensemble, Parade, Field Show, Auxiliary, Concert Choir, Women's Choir, Men's Choir, Chamber Choir, Swing/Jazz Choir or Show Choir. DYNAMIC opportunities are now available for your Choir, Band and Orchestra students coming to Orlando. Dynamic Music Festivals will provide that positive on-stage experience you've been looking for! Choirs, Bands and Orchestras can choose to compete, or a "ratings and Workshop only" in this contemporary music festival. When it comes to Student Travel for Music Festivals, we are second to none. Because of our strong alliance with Universal Studios, Orlando, our Parade Bands will perform in Universal Studios Theme Park. The crowds will line the streets of Hollywood Boulevard as you march in this "true parade" experience. Then, with our customized "Music Themed" awards ceremony in the "Fear Factor" arena of Universal Studios, we get the students involved in the show, and make it a fun and memorable experience for all! Dates run from March through the first week of June. When you think, Music Performance, think "Dynamic Music Festivals"!! "Summit Tour & Travel was the Top Producer for Festival Disney at the Walt Disney World® Resort in 2008-2009." Prepare yourself for a music festival of magical proportions – Festival Disney! Through the unparalleled resources of Disney, students from across the nation can thrill to an outstanding competitive and educational experience, right in the middle of all the magic. Festival Disney concert performances are held at various venues throughout the Walt Disney World® Resort and culminates with a Grand Awards Ceremony held on Saturday night at Disney’s Hollywood Studios™. The Walt Disney World® Resort in Florida is defining the way America acknowledges and rewards outstanding youth musicianship with a magical performance opportunity. 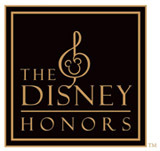 The Disney Honors is a three-day festival presenting the nation’s finest high school instrumental and choral ensembles. 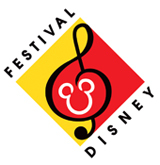 The Disney Honors National Concert Band, Orchestra and Choral Invitationals are non-competitive, non-ranked festivals presenting and celebrating premier high school concert bands, orchestras and choral ensembles in the United States. With excellent performance venues, credible educational offerings, internationally recognized clinicians and unique special events including a Grand Dinner & Celebration Gala, the difference is distinctly Disney. Festivals of Music offers two day premium events for instrumental and vocal ensembles every Spring located in several cities throughout the United States and Canada. Quality facilities and adjudicators are combined with the outstanding service that has made Festivals of Music the leader in adjudication festivals. Please contact Summit Tour and Travel for list of destinations, dates, additional festival and tour package information. Musicfest Orlando, "Florida's Premier Music Festival" is held on select weekends from mid-March through early June in Orlando, Florida. Each weekend offers Junior High/Middle Schools, High Schools and Colleges the opportunity to perform before an outstanding panel of adjudicators who have a sincere interest in "making a difference". Not only will they offer their expertise in rating and ranking each group, but they will also offer an on-stage clinic/critique after each performance. Many directors feel this is the most important part of the festival. No Attraction Ticket is required to participate in Musicfest Orlando. Competitive and Non-Competitive categories include Concert Band, Orchestra, Jazz Ensemble, Parade, Auxiliary, Concert Choir, Women's Choir, Men's Choir, Chamber Choir, Swing/Jazz Choir or Show Choir and Mariachi Bands. Festival performances are usually held at area High School Performing Arts Centers with Full Auditoriums. The parade competition is showcased in Downtown Disney on Friday mornings. The Gala Awards Banquet is held on Saturday evening. MUSIC FESTIVALS begins its twenty-third year as North America's leader in offering the finest, most affordable festivals for high school, junior high and middle school choirs, bands and orchestras located at North America’s most notable cities. Your standards are high, so ours have to be even higher. Our goal is to provide the highest quality cultural, educational, and musical experience possible. This program uses three university level adjudicators and offers a mini-clinic on stage following your ensemble's performance. This is offered as a positive experience for you and your students. Music In The Parks offers one and two day adjudication festivals each Spring for grades K-12 located in multiple cities throughout the United States. A proven value, Music In The Parks combines quality adjudication with a fun- filled day at an area theme park. Please contact Summit Tour and Travel for list of destinations, dates, additional festival and tour package information. Music SHOWCASE Festivals offers an affordable, less formal, but exciting program for High School, Junior High, Middle School, and Elementary School Choirs, Orchestras, Concert Bands, Jazz Ensembles, and Parade Bands. Your group will have the opportunity to perform before a panel of two outstanding adjudicators whose comments will prove educational to both young and experienced music groups. There is no clinic with this program. Students benefit not only from the excitement of competitive performance, but also from the opportunity to enjoy an unforgettable time at one of North America's greatest theme parks. On behalf of Performing Arts Consultants, I am privileged to say that our association with Summit Tour & Travel has pleased thousands of directors, students, and chaperones over the years. With the professional staff of Summit Tour & Travel keeping a watchful eye on all of your groups travel related activities combined with one of the music festival programs presented by Performing Arts Consultants, your group is guaranteed to have a first class experience. In the coming year, Performing Arts Consultants will work together with the staff of Summit Tour & Travel to bring you the best music education tours available today. As you will discover, both Summit Tour & Travel and Performing Arts Consultants are committed to creating musical memories of a lifetime for your students.